WAMVENTURES WISHES YOU & YOUR FAMILY A HEALTHY & JOYOUS HOLIDAY SEASON AND A PROSPEROUS 2019! WAMVentures is based in New York City, the global center of capitalism. See you in 2019! 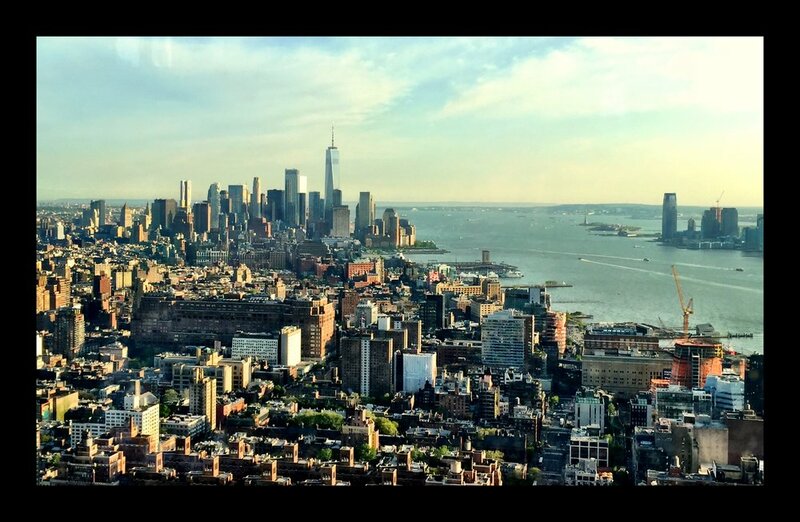 WAMVentures welcomes your Big Ideas in the Big Apple - New York City! 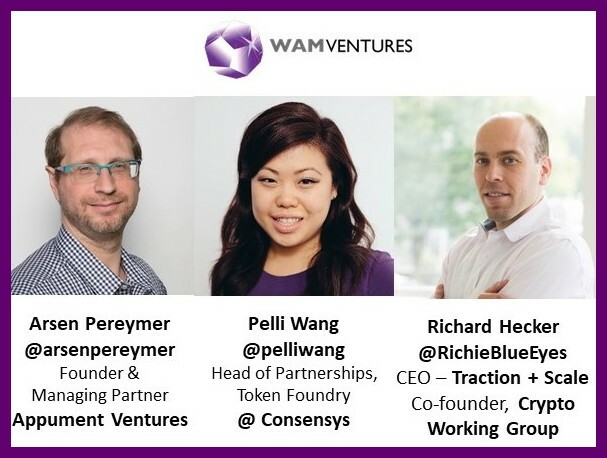 WAMVentures encourages women and diverse founders to continue building great companies! WAMVENTURES WISHES YOU & YOUR FAMILY A HEALTHY & JOYOUS HOLIDAY SEASON AND A PROSPEROUS 2018! WAMVentures is based in New York City, the global center of capitalism. See you in 2018! WAMVentures thanks our insightful speakers focused on Retail Tech, Fashion Tech and Scaling Businesses! Aubrie Pagano is Co-Founder and CEO of Bow & Drape, a customization brand that celebrates showing your big personality. At B&D, she has driven the business to success, retailing online and in over 300 stores including Nordstrom, Bloomingdale's, and Saks and partnering with everyone from The New York Post, Dominos, and artist Donald Robertson. She was named Forbes 30 Under 30 in Retail, PayPal's 30 under 30 Makers + Shakers, LinkedIn's Next Wave of Professionals under 35, and introduced the world's first 3D printed accessories in market according to WWD. Aubrie also serves as an Investment Partner at XFactor Ventures, a venture capital fund that focuses on first-in capital for billion dollar businesses with at least one female founder. She holds a BA from Harvardand began her first business when she was six. REGISTER and kickoff the fall season with WAMVentures! Nathalie Molina Niño, CEO, BRAVA Investments. Nathalie is an impact investor focused on making a catalytic impact on women in the world. A technologist and coder by training, she's a consummate entrepreneur, and a storyteller at heart, passionate about telling the often untold stories of women change-makers. Jules Miller, Venture Partner, LunaCap Ventures. Jules is an impact investor, 3-time entrepreneur, ‘intrapreneur’ and hands-on operations expert. She is currently Venture Partner at LunaCap Ventures, an early stage venture debt fund investing in military veteran, women and minority (MWM) founders, and was previously interim COO of BRAVA Investments, a holding company investing in companies that economically benefit women. Cigdem Altay Binal, Director, L-SPARK . Cigdem has over 10 years experience in technology industry having served in various roles in software design, product and project management, marketing and business development. For the past 2 years Cigdem has focused her efforts on building relationships with investment firms and the startup community in New York on behalf of both Wesley Clover International and L-SPARK. She is a mentor with Founder Institute and is a Women inPower fellow. WAMVentures Forum: pitch session and feedback from speakers... full house! Stay tuned for updates. See you soon and keep building incredible businesses! WAM Ventures sends season's greetings from NYC! Women Entrepreneurs: Own Your Voice - Be Indy Jane ! Join fellow entrepreneurs, advisors, investors, mentors, technology professionals / developers and influencers who support entrepreneurship for women! December 16, Tuesday, is Jane Austen's and Margaret Mead's birthday... a genius day. Independent women who have built sustainable businesses and are leaders moving women entrepreneurs forward. Be Indy Jane with the WAMVentures community! Join the WAMVentures community: Own Your Voice - Be Indy Jane ! For Pitch Candidates, preference for women-led companies with traction, i.e. customers, loyal viewers, MVP or unique technology. For social entrepreneurs, focus on your triple bottom-line impact (profit, purpose, people, the 3Ps). 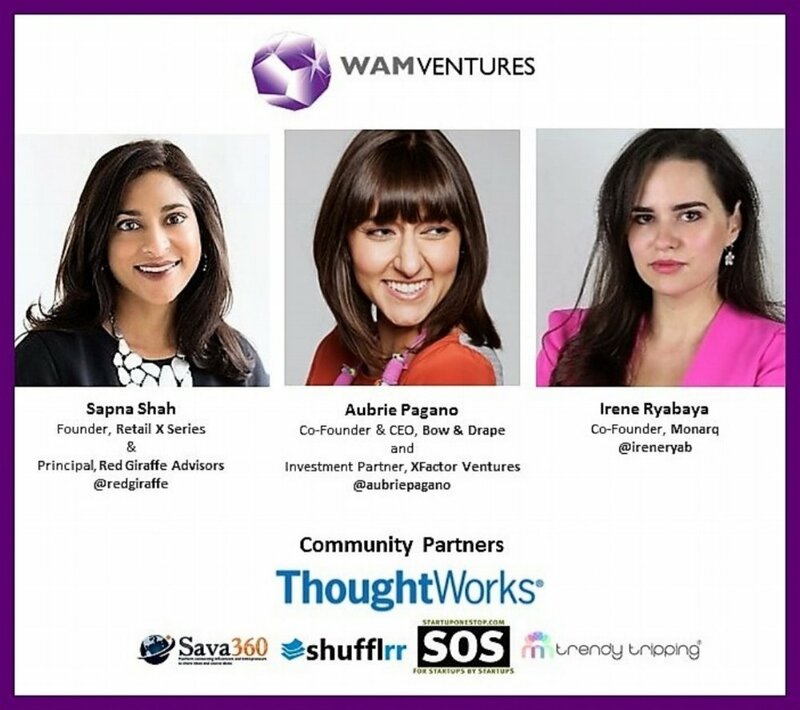 WAMVentures supports the advancement of entrepreneurship for women & diverse founders...an inclusive community supporting entrepreneurship, leadership & excellence.